Even from the poster, Fikri Jermadi could tell it’s a cool film made for the awards season, so he decided not to miss this one. 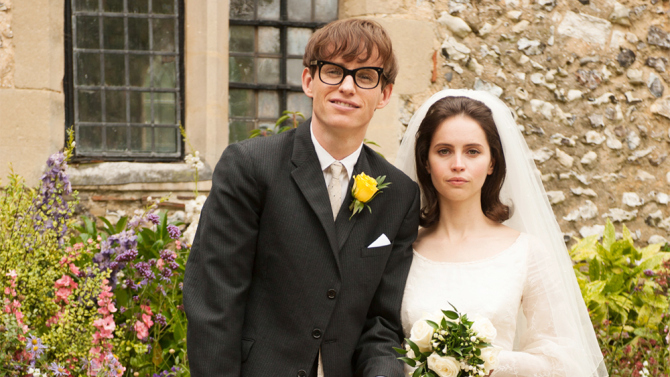 ‘The Theory of Everything’ is often somewhat incorrectly described as a film based on the life of Stephen Hawking. In many respects this is true, but it ignores the true authorship of the project, a book written by Jane Hawking. The book apparently details the conflicts of their marriage. I can try to imagine what kind of struggle it must have been; in reality, I suppose it’s difficult for any of us to even think about being in her shoes. This film takes steps forward towards doing that. 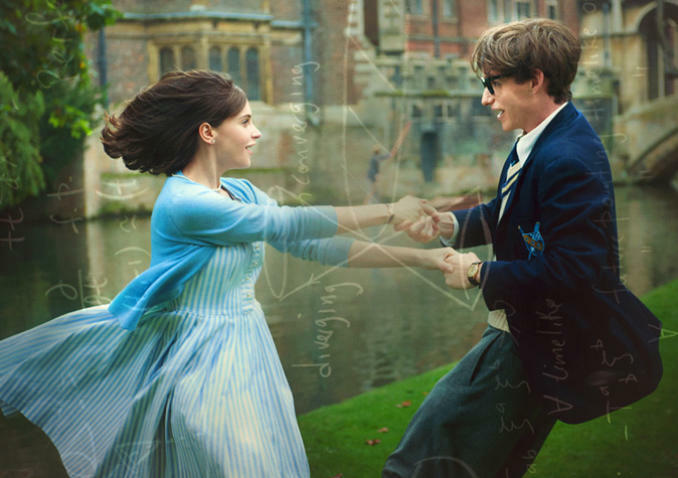 It starts at the moment when Jane (Felicity Jones) and Stephen (Eddie Redmayne) meet for the first time at a party. They are both students at Cambridge University. Stephen is an astrophysics major, and Jane studies literature. While the sparks that flew to begin with were one-way (primarily from Stephen), eventually it became mutual, and grew to the point where they are somewhat in love with one another. Of course, that was until Stephen begins to display symptoms of the motor neuron disease that would so afflict his physical condition. The real turning point of the film was Jane’s decision to stay with him. 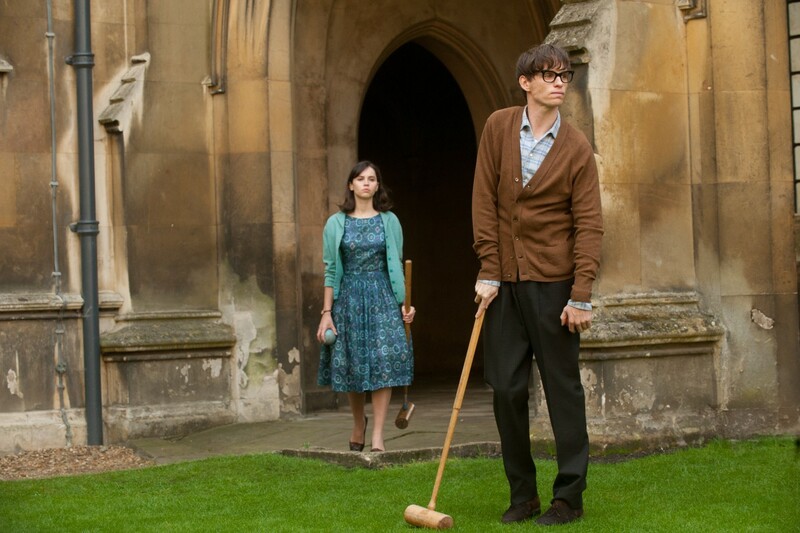 On screen, we see how Stephen first shuns her, and she had to come and drag him out for a game of croquet. Seeing how he stumbles from one place to another, misshapen feet leading to slow and agonising steps, realised for Jane the condition Stephen is in. Why did I mention this project’s origins? 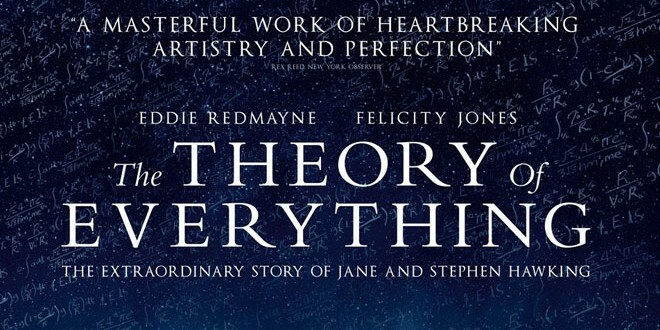 The point is after having watched the film, I noticed that many reviewers have a tendency of noting how the film didn’t focus so much on Hawking’s groundbreaking theories. That is true, for while they remained important parts of the narratives (a particular scene showed an extreme close up of the fireplace reflected in his eyes; combined with the music, we are made aware of the light bulbs being turned on in his head), the general approach of this film should acknowledge the book written by Jane. One of the sweet moments of the film. This film, as much as the book (perhaps, since I did not read it), makes the whole thing personal. Much more personal than any one of us could probably imagine. A lot of the physical issues the family faces as a whole are things I could relate too. As such, it is only fair that the focus of the film should reflect Jane’s views as much as Stephen’s. In fact, I’d argue that after finding out about the book itself, this film probably should have privileged Jane’s perspective a little bit more. For the most part, the film offers a more balanced approach, so we see things from both Stephen’s and Jane’s point of view, but this could have been a more unique film, one that showcases more exclusively a female worldview. For me, that would have been more interesting, perhaps. It’s rare enough as it is that we see a configuration of big events from female perspectives, and this would have made for a unique addition to that particular oeuvre. But I digress, for it is not all that fair to critique this film for what it is not. What is it, then? It is ultimately a film that displays a side to something we may not necessarily have thought of. The filmmakers took great liberties to jump forwards in time (which is somewhat appropriate, given a part of the subject matter). In one scene, Jane gives birth to a child. Less than twenty minutes later, that kid is already up on his feet, walking around. Ten minutes later, she’s holding yet another baby, and so it goes. Is there something wrong with this? I’d say no, but speed with which the story progresses does not jive with what I had expected. A key moment in the film. It does make for an interesting juxtaposition, though. In one dinner scene, when Jane and Stephen had some friends over to celebrate the submission and acceptance of Stephen’s thesis, he struggled greatly to lift the fork and spoon to feed himself. He looks around, almost in vain, at the others who do it with such ease that they (and we) took it for granted. He excused himself, and made his way to the stairs, struggling greatly to get up to the first floor. As he exasperated, his baby was at the top of the stairs, restricted in movement by a baby rail. Both of them, limited by the body and other physical obstacles, shared a moment; as much as Stephen has conquered that final frontier of academic landscape, he remains as limited as his offspring, wants and desires all shrunk by the physical. Fikri is reminded of Hawking’s interview with John Oliver. It’s surreal. ‘Theory of Everything’ is nominated in the Best Picture, Best Actor, Best Actress, Best Adapted Screenplay and Best Original Score categories at the 87th Academy Awards. It won the Lead Actor in a Motion Picture – Drama and Original Score – Motion Picture awards, and was nominated in the Best Motion Picture – Drama and Lead Actress in a Motion Picture – Drama categories at the 72nd Golden Globes Awards.